Is taking a shower the only time when you’re not clicking away on facebook?! Well now you can take your social networking profile with you! It's the ideal gift for social networking geeks. 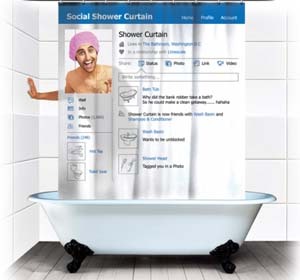 Bring your profile to life while you lather up with the social shower curtain!